President James Buchanan is often cited as the worst president in US history, for a lack of leadership — generally attributed to his waffling because he was a pro-southern northerner — that put the country on the final road to the Civil War. So I was very curious to see how Wheatland, Buchanan’s house-turned-museum, would address that allegation. Many house museum narratives, I’ve found, are pretty defensive about the reputations of the people who once lived there. Buchanan was born in a small cabin in rural Pennsylvania (now part of a state park) and bought Wheatland, a brick, Federal-style house in Lancaster (circa 1828), when he was Secretary of State. Apart from periods while he was ambassador to Great Britain and US President, he lived there for the rest of his life. The house is owned by the LancasterHistory.org, the local county historical association. The house tour starts in their museum with a short film about Buchanan that, for the most part, concentrates on the positive and avoids making any judgement about Buchanan’s presidency beyond calling it difficult. 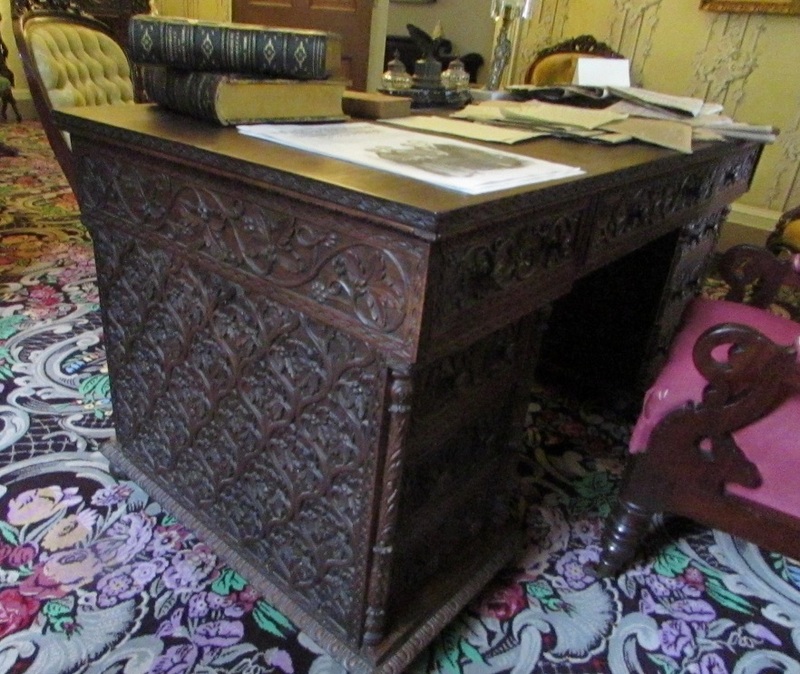 An ornately carved mahogany desk that he used as president, that was a gift from the country of India. 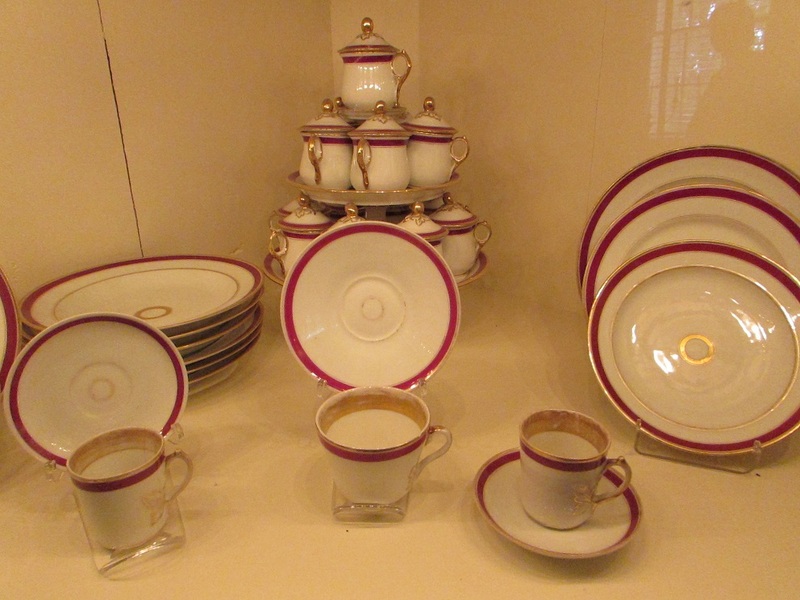 And the presidential china, which he bought at a discount from the French ambassador when the ambassador went home. Buchanan was fugal. Buchanan is the only president never to have married and there is speculation that he was gay. That, too, is not a matter for discussion at Wheatland. Buchanan raised both an orphaned niece (who served as his First Lady) and a nephew (who became his personal secretary). 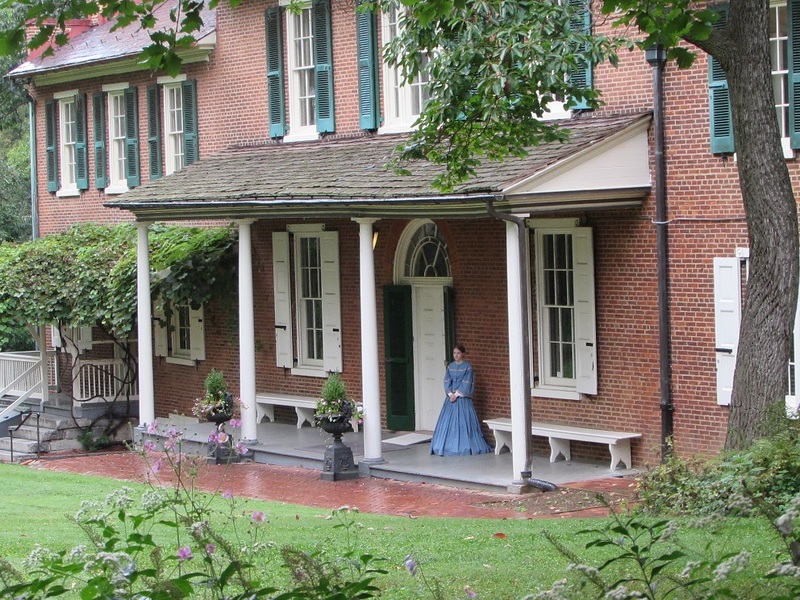 Both lived at Wheatland and much of the tour focuses on the niece, Harriet Lane, who was the apple of her uncle’s eye and, for her part, was exceptionally devoted to him. She was a popular debutante but married late (for a woman of her time: in her late 30s). After the death of her husband and sons, she moved back to DC and devoted her life to art collecting and philanthropy, much of it on behalf of children. 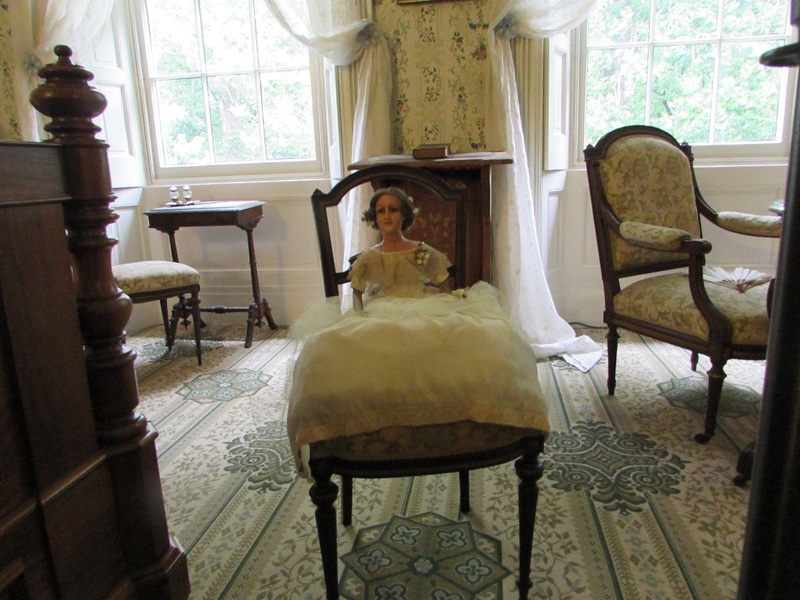 The doll below was a gift to her and is supposed to be a likeness of her. Wheatland won’t bring satisfaction to those looking for some insight into Buchanan’s political legacy. The tour narrative probably wouldn’t need to change much had Buchanan been a local merchant, rather than the president. But for those looking to tour a fine example of an early 19th century house and the social history that goes with it, Wheatland more than fits the bill. There’s also a small but interesting museum of local history in the complex. 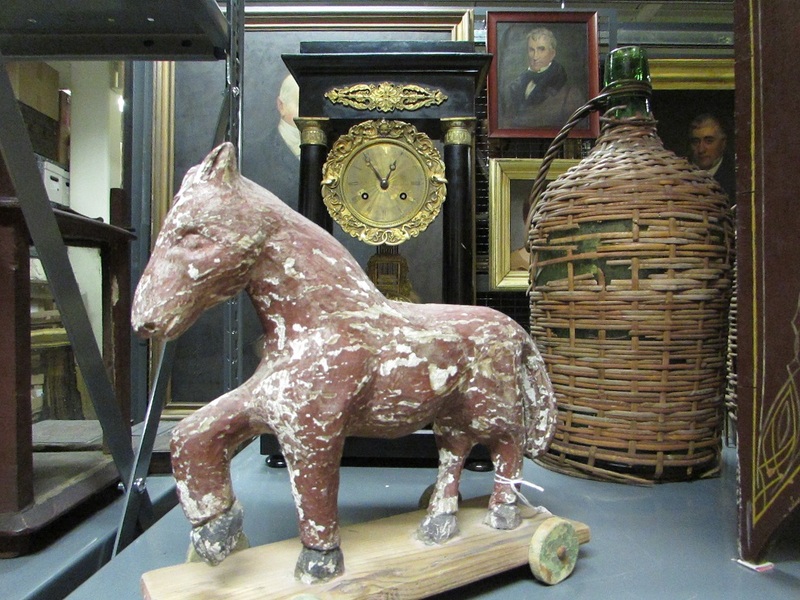 My favorite part was gazing through the large windows that open into the storage area, for a glimpse behind the scenes. Gallery | This entry was posted in Pennsylvania and tagged Harriet Lane, house museum, Lancaster County. Bookmark the permalink. I thought Wheatland was a good tour. I did not know much about Buchanan before I went there. I enjoyed the tour too, but kind of hoped that they’d discuss the more controversial aspects of his life. I guess I need to find myself a good Buchanan bio for that. The Franklin Pierce home tour mentions the criticism of his presidency. His willingness to listen to Southern advisors and let slavery extend into new states in order to try to keep the Union together and avoid the Civil War infuriated northern abolitionists. He’s the other one I always hear referred to as the worst US president. I want to see the Pierce house (I hear that there are a couple within a few miles of each other) the next time I’m in NH. Yes, there is the house in Concord where he lived with his family for a few years, and the Homestead in Hillsborough, which is my favorite. More rural, and they have done a wonderful job restoring the fancy stencil painting in several rooms. Let’s put them on our to-see list for next time.